Dinner Friday night (Sept 28th) is a shuttle ride into town for dinner at the Kern River Brewing Company. Dinner Sat, Sept 29th is our famous Tri-Tip BBQ cart catered by our local ﻿﻿﻿﻿Sierra Vista Restaurant﻿﻿﻿﻿. Guaranteed to please! 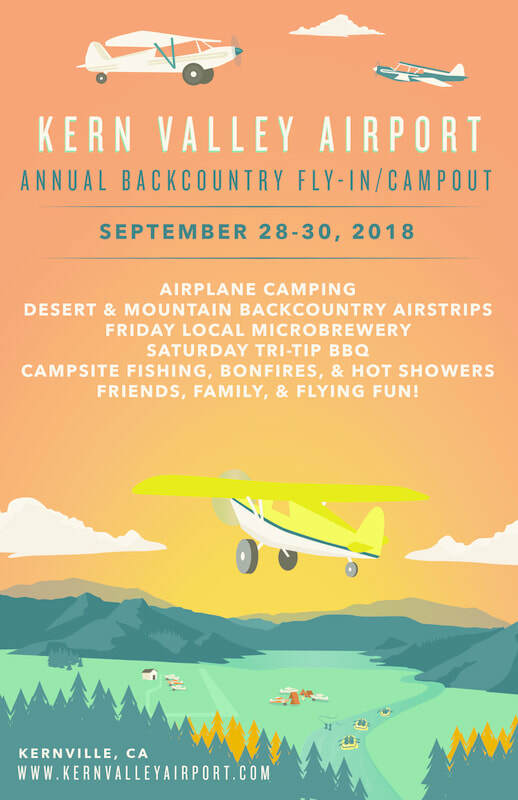 The Kern Valley Airport and friends welcome you to the Kern Valley Airport 2018 Annual Backcountry Fly-in/Campout located on the Kern River and Lake Isabella in the beautiful southern Sierra Nevada mountains of Southern California. Bring your planes and your friends & families as we have river and camping activities for all ages. Launching from the airport campground Saturday and Sunday morning, we will be leading some airstrip fly-outs around the high sierras and the high desert areas. Breakfast and lunch is available at the airport café or bring your own. 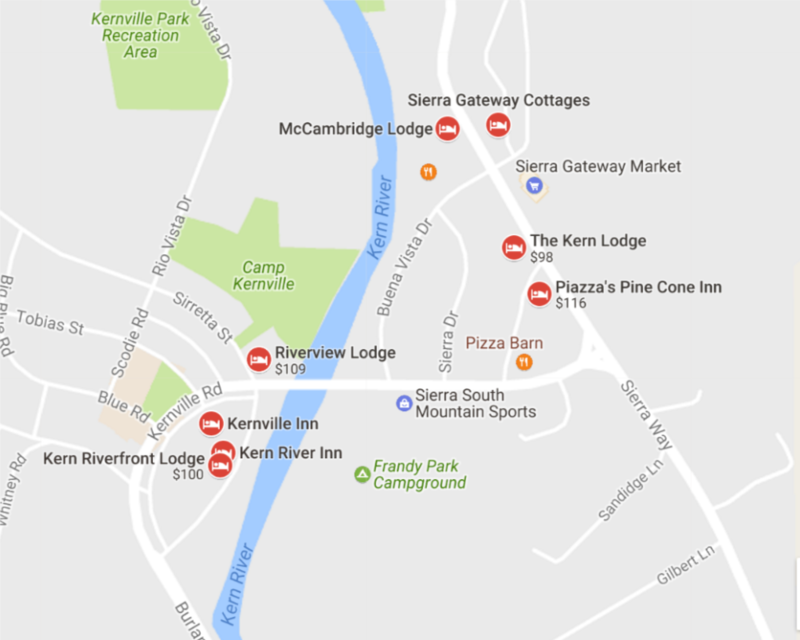 Dinner Friday night is at the Kern River Brewing Company (a small bike ride, shuttle ride, or nice walk into town), and a catered CASH ONLY Tri-Tip BBQ with all the fixin's will be held at the airport campground Saturday night. Plenty of airplane camping is available at our airport campground with bonfire pits, free firewood, and basic hot shower/toilets. 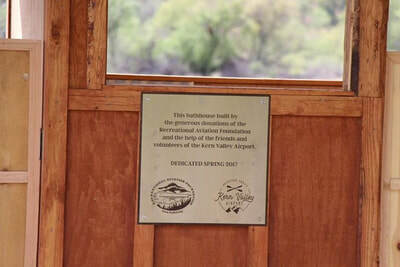 Reservations aren't necessary but please pay for your airplane campsite use ($20/night) here. PLEASE RSVP SO WE KNOW HOW MANY PEOPLE TO EXPECT AND FEED. 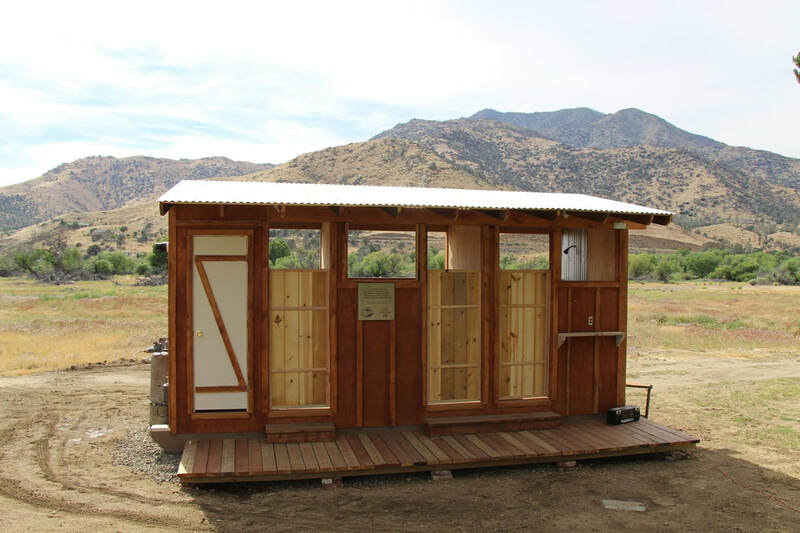 ​By clicking submit, I intend to operate my aircraft for the purposes of safe takeoff and landing at the Kern Valley Airport and the backcountry airstrips we might go into at the event. I agree and understand that doing so is solely at my own risk and expense. I further understand and agree that the backcountry airstrips are not improved airstrips and that any operations from those airstrips are considered unimproved landings/take-off areas. I further agree and understand that I am responsible for evaluating the landing/take-off area and making the determination for myself as to the safety of using the unimproved field for such a purpose. I also agree that neither Kern Valley Airport nor any of its employees, representatives, staff, or hosts nor any of the airstrip owners have made any representations as to the safety of using the unimproved backcountry airstrips for operating my aircraft, and my use of the airstrip is being undertaken at my own risk. I alone am responsible for determining whether my aircraft is suitable for operating in and out of these unimproved airstrips. I further agree and understand that fly-in hosts or airstrip owners may place cones or other boundary or signaling devices at the respective airstrips and that any reliance upon the same for safety is taken at my own risk, and that neither the fly-in hosts or airstrip owners is responsible for the same.